Dr. Warren Helfrich is a human services researcher, consultant and trainer focused on the areas of performance measurement and evaluation, strategic planning, governance, and human services accreditation. Warren has more than fifteen years of consulting experience in the health and human services sector working with both public and private organizations across Canada, the US, the Middle East and Central America. He has helped dozens of organizations to successfully complete their CARF accreditation and to develop internal systems/process that support accreditation. He has been directly involved in diverse initiatives aimed at improving service delivery, including Community Living BC’s ‘Quality of Life’ Initiative and the Ministry of Children and Family Development’s province wide review of residential services for children and youth in BC. Based out of Penticton BC, Warren has been a surveyor and trainer for the accrediting body CARF for more than a decade. He is also a Registered Clinical Counsellor (RCC) and a Certified Daring Way Facilitator. 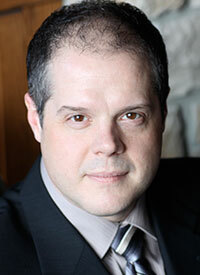 He holds a Masters of Social Work from the University of Toronto and a PhD from the University of Calgary. His dissertation research focused on the impact of leadership on client outcomes within human service organizations.